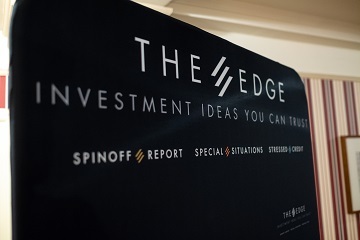 The Edge held the very first Spinoff conference in NYC on Wednesday, June 6 at the exclusive Penn Club on 44th St. to a packed room. With almost 100 money managers, The Edge debated where, if any, Spinoffs make money. The event was non-profit, and all donations went to the Alzheimer’s Association. We are proud that, together, we raised $5,500. It was a great experience, and the thing I liked personally was that everyone was a winner. The charity had gained some much-needed funds, the audience got some great ideas and some fantastic food, and perhaps we can gain some new partners to help.